Made up of about 500 members that include artists, programmers, architects, designers, CG animators, engineers, and mathematicians, the art collective teamLab uses the latest computer modelling techniques to create installations that involve the viewer in the art. At a Tokyo restaurant, the walls change and birds appear to fly from diners’ plates, while at other shows, viewers see flowers blossom or crumble and die on their bodies and split waterfalls with their feet. 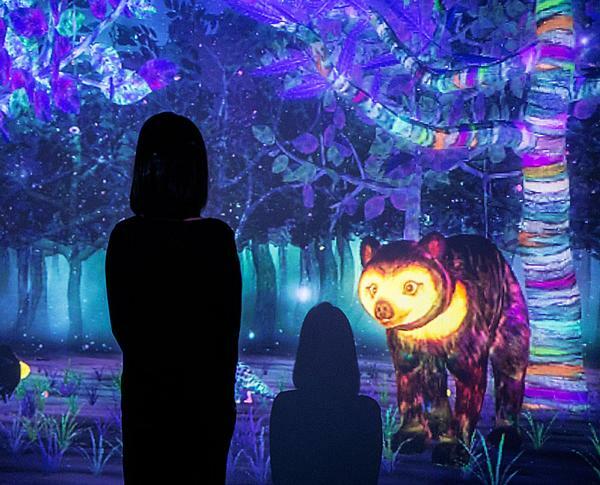 This June, a permanent attraction called “MORI Building DIGITAL ART MUSEUM: teamLab Borderless” is opening in Odaiba, Tokyo. Here we speak to the people behind the artworks. How and when was teamLab born? 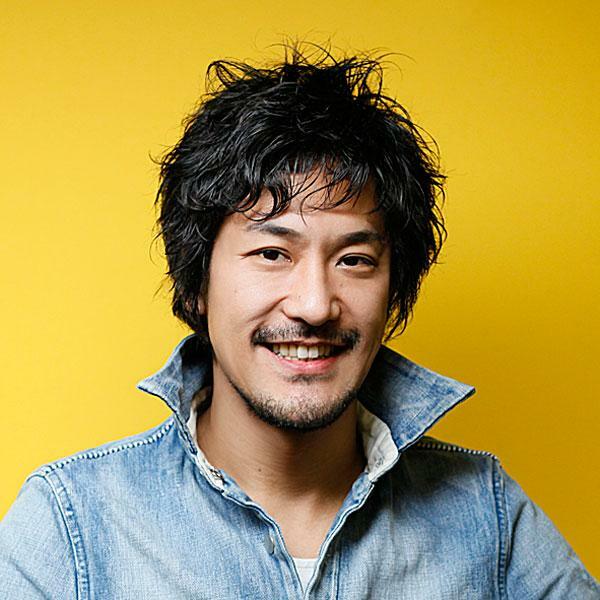 In 2001, Toshiyuki Inoko founded teamLab with several of his friends as a space of co-creation. It was the year Inoko graduated from university, and most of the initial members of teamLab were programmers and designers. We were creating art installations from the beginning, but we didn’t have the opportunity to present them anywhere, nor could we imagine how we could financially sustain our teams producing art. On the other hand, we all believed in the power of digital technology and creativity, and we loved what we were doing. We just wanted to keep on creating new artworks. While the collective took part in various projects to maintain teamLab, we increased the number of technologists in the team, with members including architects, CG animators, painters, mathematicians and hardware engineers. As time went on, we gained a passionate following among young people, but we were still ignored by the Japanese art world. Our debut finally came in 2011, when the celebrated Japanese artist Takashi Murakami invited us to exhibit at his gallery, the Kaikai Kiki Gallery in Taipei, Taiwan. This was a major turning point for teamLab. In 2013, we took part in the Singapore Biennale, and in 2014, New York PACE Gallery started to help promoting our artworks. These opportunities allowed us to expand rapidly. Finally, in 2015, we were able to hold our own exhibition in Japan. Since then, teamLab has gone on to exhibit our work internationally; in London, Paris, the US, China, South Korea, Indonesia, Thailand and elsewhere. This summer, we will open a permanent digital art museum in Tokyo, together with urban developer MORI Building. Our aim is to explore a new relationship between humans and nature through art. teamLab is an art collective, an interdisciplinary group of ultra-technologists whose collaborative practice seeks to navigate the confluence of art, science, technology, design and the natural world. When we started out in 2001 at the dawn of the digital age, we were passionate about eliminating boundaries and working beyond existing disciplines. To make that happen, we wanted a place where we could get people from all different specialisations, and decided to make one on our own. Our name, teamLab, comes from that idea; we wanted to create a team of specialists and a place like a laboratory for all kinds of creations. What does digital art offer that traditional art doesn’t? We want to change the relationship between people and art, and we want to make people feel that the presence of others is a positive experience when interacting with our artwork. Traditional media, such as paintings, doesn’t change in relation to the presence of viewers or their behaviour. The artwork is based on a relationship with an individual viewer. For the majority of art up until now, the presence of other people tends to constitute a hindrance. If you happen to find yourself alone at an exhibition, you consider yourself to be very lucky. When an artwork changes based on the presence or behaviour of people, it blurs the boundaries between artwork and viewer. In this case, the viewer becomes part of the artwork. Similarly, when the artwork changes due to the presence of others, those people also become part of the art. This changes the relationship between a work and an individual into a relationship between a work and a group of individuals. Whether a viewer was present five minutes ago, or how the person next to you is behaving now, becomes important. Tell us about the digital art museum you’re launching in Tokyo this summer. Currently, there aren’t any digital-only art museums. We wanted to deliver a borderless artwork world, and we needed to establish a museum to make that happen. MORI Building provided us with this chance to realise our ideas. 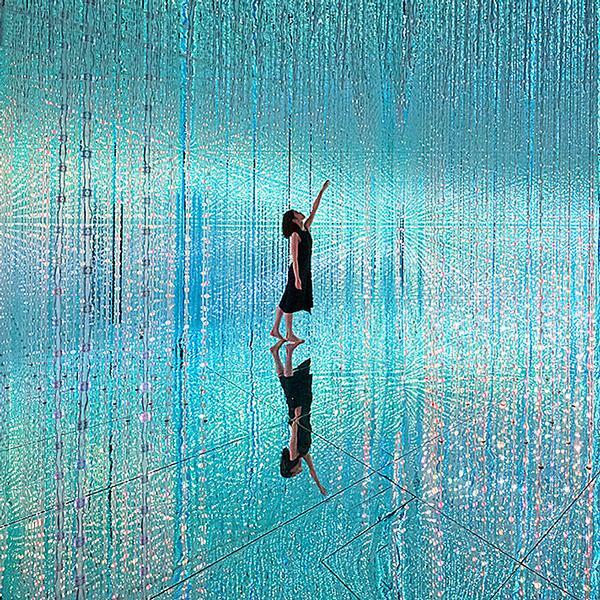 The museum in Tokyo, teamLab’s first permanent exhibition and flagship facility, will boast a massive 10,000 square metres of floor space. 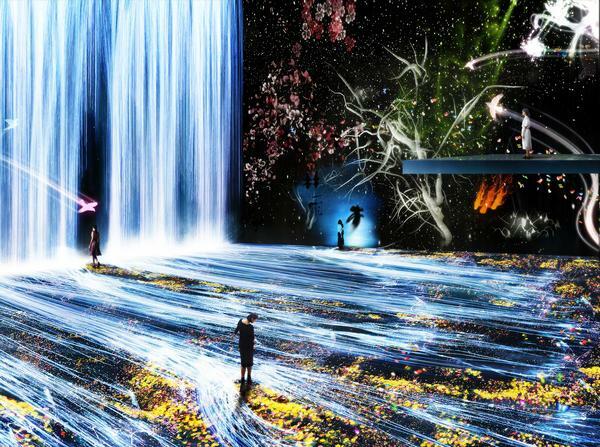 It will house a permanent digital art exhibition run by the museum’s operating body, created jointly by MORI Building and teamLab. MORI Building actively works to integrate art in cities and helps stage cultural activities. 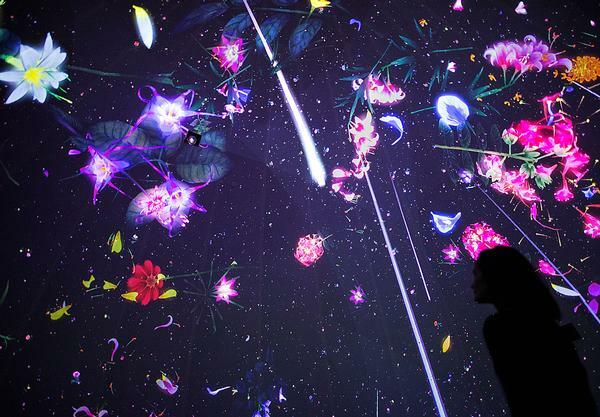 teamLab aims to explore a new relationship between humans and the world through art. With this collaboration, we’re aiming to create a unique destination that will enhance the appeal of Tokyo leading up to the 2020 Tokyo Olympics and beyond. 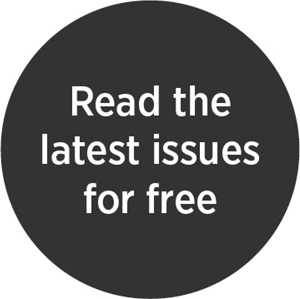 Tell us about your work with children. 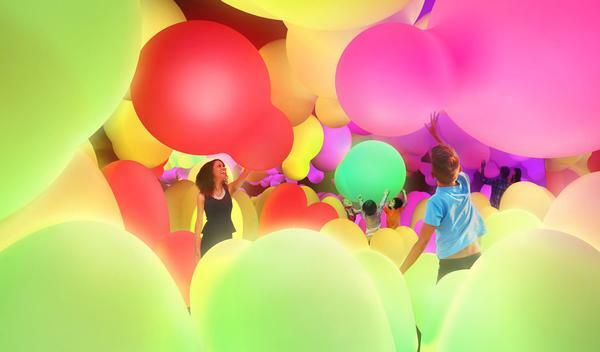 teamLab’s experimental digital art project, which is called Learn & Play! 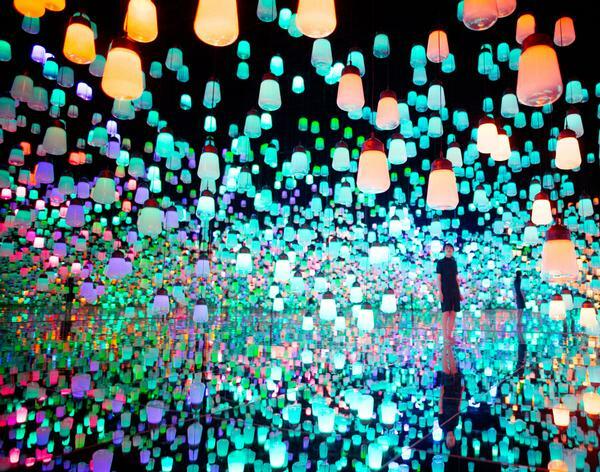 teamLab Future Park, focuses on a project that explores the theme of ‘co-creative’ learning through digital technology. Children often play by themselves. This project aims to encourage them to become aware of what the child next to them is drawing or creating. They may come to think it would be more fun to build something together and be inspired to create and appreciate their own work in new ways. Through digital art, children who are inclined to work individually may think more positively about working with other children. This project aspires to transform an individual’s creative action into a collaborative creative activity – and help children realise that playing together might be more fun than playing alone. What is your focus over the next year? We want to keep creating. And we want more people to experience what we create. Anybody who believes in the future. 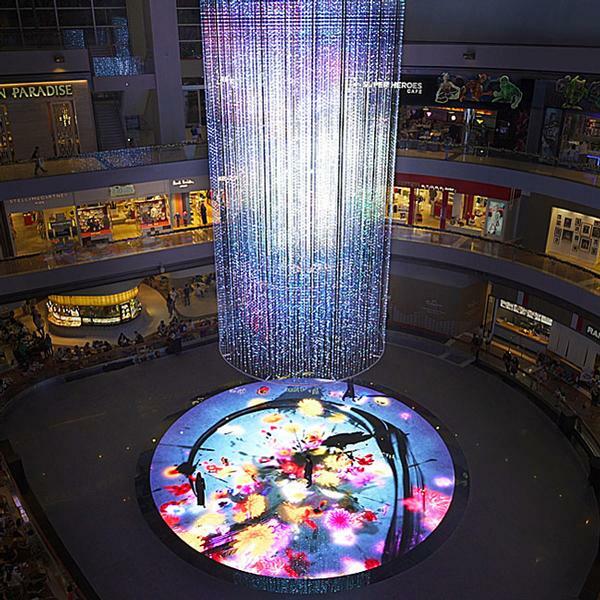 This artwork was created using teamLab’s interactive 4D vision technology and LED lights hanging from the ceiling, creating the illusion of various patterns moving in space. Viewers were invited to enter and walk around within three dimensional light space, with the idea that they became the ‘centre of the universe’ – their movements causing changes to the lights across the entire space. Viewers were also able to interact with the work by using their smartphones to trigger 3D animated light visuals. While Crystal Universe was created by elements selected by the viewers, each action or change affected the other. The viewer’s position within the artwork also influenced how the work was created; thus, the artwork was continuously changing. 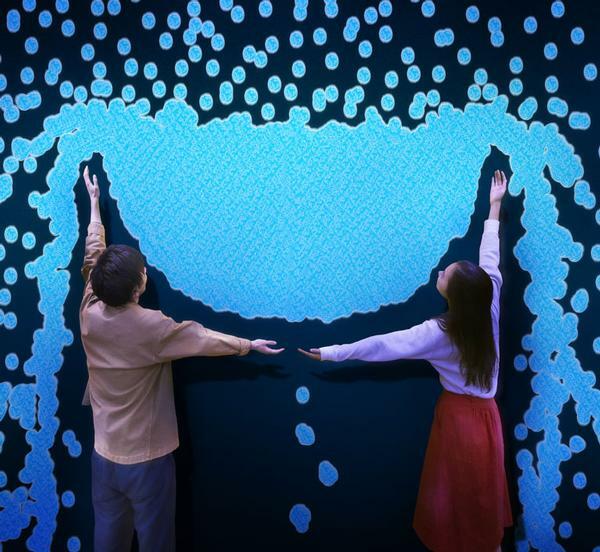 This permanent installation in the Glass Rotunda at the National Museum of Singapore sees 69 drawings turned into a single giant animated interactive illustration. Titled Story of the Forest, the digital piece, which is 15 metres high and 170 metres long, is based on the museum’s drawings collection and mimics the dense tropical rainforests of Southeast Asia. The design is inspired by the 19th-century collection collected by William Farquhar, the first Commandant of Singapore. 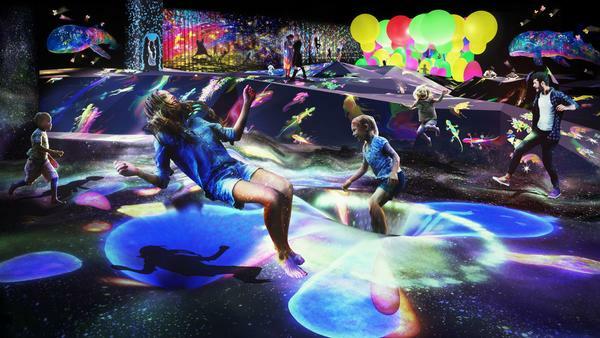 Starting at the bridge spanning across the dome, visitors enter a dark room with falling petals projected onto the ceiling, before walking down a spiral path with animals running through a vast, interactive forest. The exhibition ends in a room raining petals. As visitors stand still while close to the wall, an area of ground emerges, a forest rises up, and animals appear. Set to open in just a few weeks, we take a look inside …. 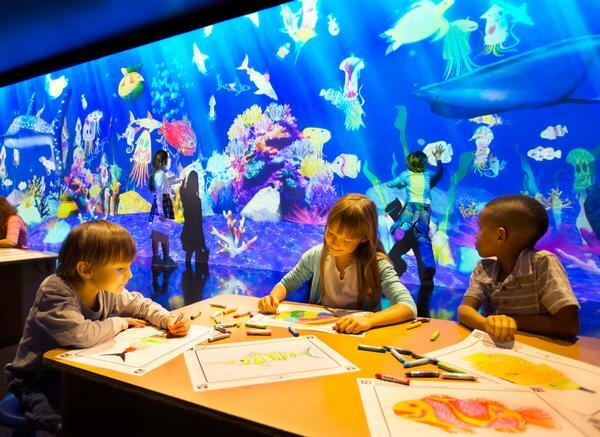 An interactive digital art space in the museum inspired by the idea of helping children understand the world through the body and thinking of the world three-dimensionally. The space is fitted with objects and shapes to interact with as the immersive world changes around the guest. Visitors can jump in Boing Boing Universe, climb in a light-filled bouldering space, traverse hanging bars surrounded by flying birds, interact with shapes in the Block Town softplay environment, climb and descend slopes in Graffiti Nature and drift through an expanse of coloured balls in Weightless Forest.